This USB to Serial Dual Port Adapter converts your USB port into two 9-pin male RS-232 serial ports capable of speeds up to 920Kbps. 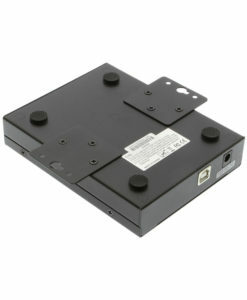 It features a rugged plastic housing with built-in LED status indicators for TxD and RxD. Uses FTDI Chipset for instant RS232 serial applications. Applications include ISDN TAs, Pocket PC's, Serial Printers and Retail or industrial data collection. No conflicts on install with IRQ, DMA, or I?O port resources. 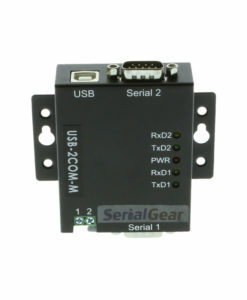 The USB to Serial Dual Port Adapter uses an FTDI Chipset when the USB cable is engaged giving you to additional RS-232 ports. Working with Windows 10, the USB to Serial Adapter provides instant connectivity with modems, ISDN TAs, PDS, handheld & pocket PCs, serial printers, and more. 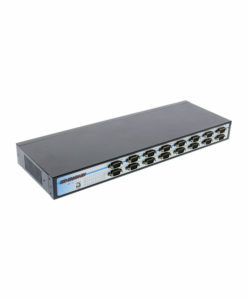 It is suitable for remote access, retail and industrial applications, data collection and other applications requiring a High speed and or LOW serial communications port. 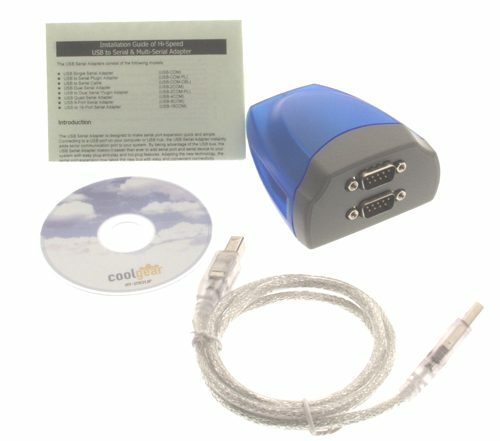 This adapter adds two Windows serial Com ports via it’s USB connection and is compatible with new & legacy RS-232 devices. USB Plug and Play allows easy serial port expansion and requires no IRQ, DMA, or I/O port resources. Connection to USB is via a 0.9m detachable USB cable ( supplied ).